After catching up with CARHA Hockey member Roberta Ruff, she told us about her first season taking the ice. 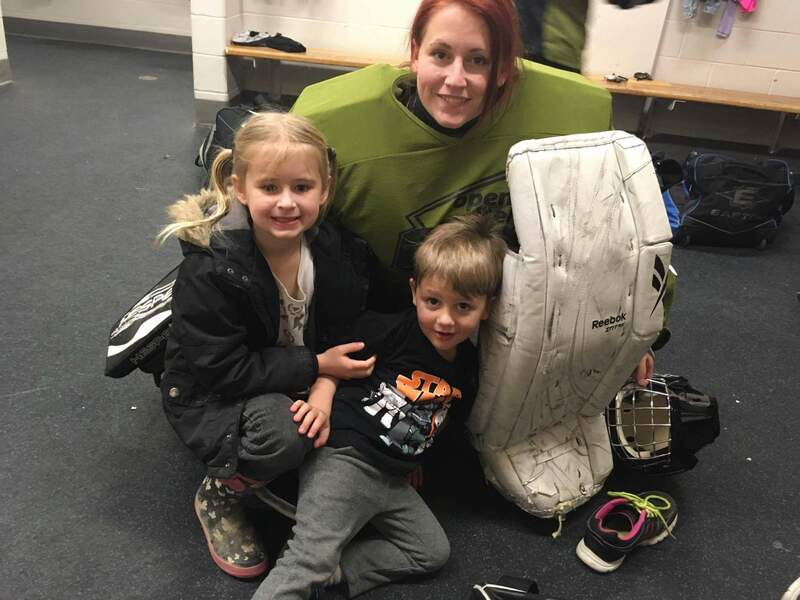 She claims her experience playing hockey thus far has been amazing, saying, “I fell in love with not only the game but also the women who play it”. Ruff says that she had a few moments of doubt, wanting to quit, but it was her teammates who had her back and helped her to see the bright side. If you are looking for a reason to take up hockey, you should know that hockey is much more than a game. There are friendships that can be made and lessons to be learned, all while having fun. Roberta chose hockey so she could inspire her children to see the fun in organized sports. She states that, “They needed to see me lose and get back up and try again”. Roberta’s strategy worked and her children are signed up for organized sports in the fall. They saw the positive changes hockey made in her life and the amazing friendships she gained. Just like trying anything new for the first time, hockey can be intimidating to start up. However, Roberta’s advice will encourage you to join a league tomorrow. “Dive in head first, the people who have been playing for years will guide you and show you the ropes and teach you”, which is exactly what Roberta’s team did for her. After one season of playing hockey, Roberta made many friends, became mentally and physically stronger, and even lost up to 20 pounds. What more can you ask for? When sizing up your hockey stick, it is important you cut it to the right height. A good way of determining how long your stick should be is by having the top of the stick reach between your nose and your mouth while standing on your tippy toes. The stick will then be the right height for you when you put on your skates. Be sure to choose a flex that is good for your strength and weight. If your stick is too flexible you’ll break it easily and sticks are expensive, you do not want to have to buy a new stick every week. Also be sure that the flex you choose is not too stiff or you will have a difficult time getting it to flex and you won’t get the most out of your shot. As for choosing a curve, it is all personal preference. It is also very important you know the rules of the game and where to line up for a face-off. There’s nothing more embarrassing than lining up on the wrong side of the ice for a face-off. Taking a look at a rule book before playing in your first game may be beneficial. You may think you know everything about hockey, however, some rules may come by surprise. Once you have all of the necessary equipment and you know the rules, it is time to take the ice. For a beginner player, it may be a good idea to seek out a skating instructor for skating lessons, or just get out on the ice to get a feel for it before entering a game. Once you are comfortable on your skates, start using a stick and a puck. You can even use a tennis ball to stick handle at home. Once you are comfortable and feel ready, it is time to seek out a league for you to join. Hockey is rather demanding on your body. It is important to ease into it because chances are, you are going to use muscles you have never used before. It is essential to be in good physical shape off the ice before you get on the ice. Being fit will prevent you from getting injuries and will make the experience more enjoyable.